Today, I’d like to acknowledge Elemental Moves for its support of Out & About. Out & About is excited to be partnering with Lisa Bradley from Elemental Moves for the fall session of its Horsin' Around program! 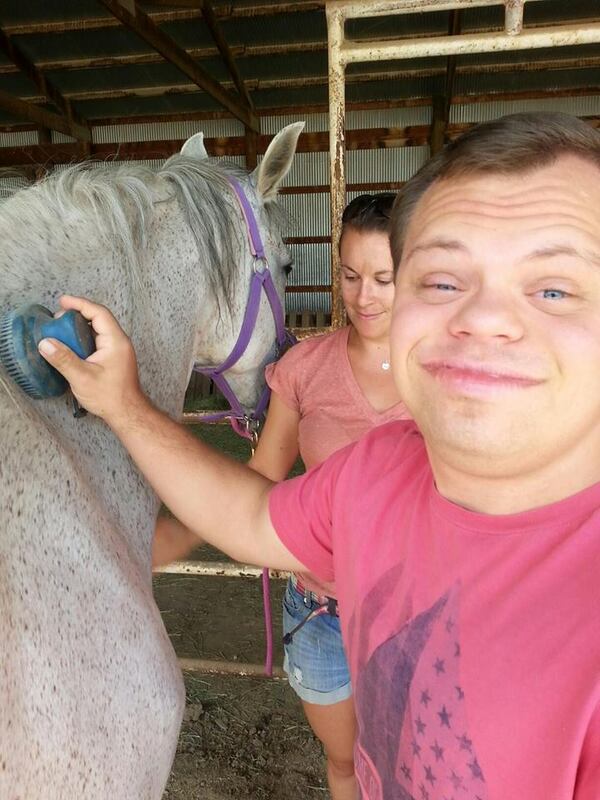 Through interactions with the horses, Out & About participants will have the opportunity to reflect on and learn about how they connect with others. This week the program got off to a great start as everyone got to know the horses while giving them a brush and leading them around the ring. Thank you, Elemental Moves, for your support of Imagine!, Out & About, and your community.